The body makes recommendations to Ministers on appeals against the RPA's decisions on Common Agricultural Policy payment claims. The Rural Payments Agency’s (RPA) Independent Agricultural Appeals Panels will continue to operate, Farming Minister Jim Paice announced today, after a review found they were a valued service for the farming industry. The body makes recommendations to Ministers on appeals against the RPA’s decisions on Common Agricultural Policy payment claims. 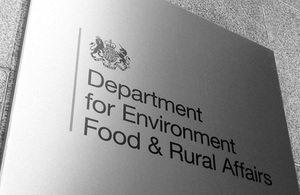 As part of the wider Government programme to review public bodies, Defra began a review of it in December. Following an informal consultation with industry, the review found that farmers liked having their appeals heard by panel members with practical experience of agriculture and considered them the most effective way of providing impartial advice to Ministers. “This Government is doing all it can to free up farming from unnecessary bureaucracy, but it’s really important we keep the Government services that farmers tell us they value. As part of a five year plan, announced earlier this year and designed to create a more efficient and effective Rural Payments Agency, the RPA is already working on improvements to the way it interacts with its customers including an overhaul of the correspondence management system and development of better processes and supporting IT for complaints and appeals. The RPA and Defra will now work on addressing the recommendations in the report. “Good customer service is at the heart of everything we are doing at the Agency to improve the support we give to farmers and help them to be more competitive.